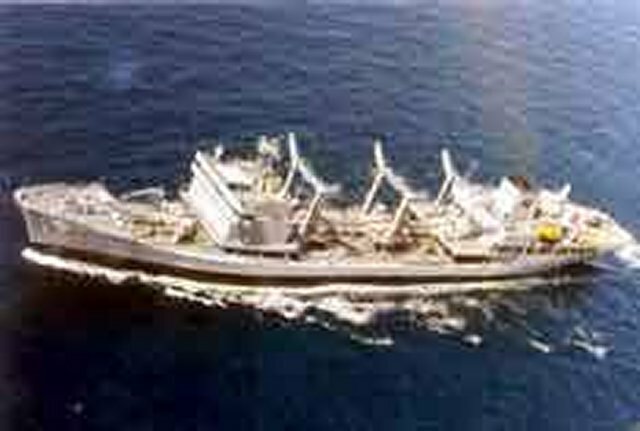 For replenishment at sea PNS NASR (A 47) was acquired from Chinese Navy in August 1987. 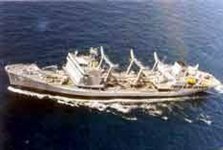 The ship has underway replenishment capabilities. The ship was built in Dalian (China), launched on 14 March 1987 and named PNS NASR, an Arabic word meaning “Help”. She was commissioned on 01 August 1987 and joined Pakistan Fleet on 26 August 1987. Other sources report the vessel was delivered in 1985. The ship is basically a Fleet Oil Tanker, which can also provide fresh/dry provisions to ships at sea. Fuelling system is completely hydraulic and automatic. Ship has the capability of accommodating all types of Naval Helicopters. Presently the ship is operational, and is being utilized as a Fleet Oil Tanker.